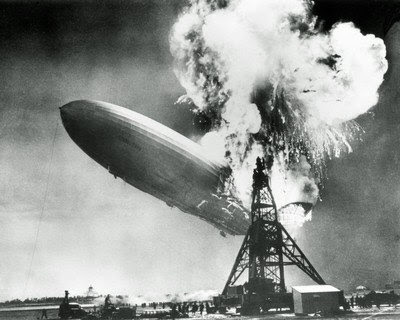 THE TRUTH ABOUT THE HINDENBURG. Interlocutor: Well, let’s move on to the next question related to the Hindenburg disaster, which was destroyed exactly in 1937 by a terrible explosion when it had already arrived to its destination. Some people speculated it had been a sabotage but then that idea was discarded completely. Ruanel: As a matter of fact it was a sabotage. Interlocutor: Ah! Then, it was a sabotage just like it was thought the first time? Interlocutor: Where did that sabotage come from? Ruanel: In that time there were different factions. It is a sabotage originated directly from inside Germany. Interlocutor: Was it a sabotage of some competitor of zeppelins? Ruanel: It’s not like that, in that time different economical powers were seeking to destroy that company of zeppelins in order to develop their own interests. Interlocutor: I understand. And how was the attack? Was there some saboteur inside the Zeppelin? Interlocutor: And he made explode the bomb exactly when the zeppelin was arriving to its destination and people were tying it. Interlocutor: Did the saboteur die along with the bomb? Interlocutor: Was he negligent maybe? Ruanel: No, he was simply a suicide. Interlocutor: Was it something similar to the Japanese kamikaze? Ruanel: Yes, it was something similar. Interlocutor: For some stupid idea? Ruanel: You said it. It was not necessary to do something like that because anyway with the growth of aviation zeppelins had no future. Interlocutor: Shall we give as concluded the topic or is there something more to say? Ruanel: No, only repeat that the intellectual author of the destruction of the Hindenburg was an economical German power. Interlocutor: Well, then this issue is over. This entry was posted at Sunday, July 05, 2009 and is filed under History . You can follow any responses to this entry through the .